Trevor Carlson, Executive Director to Merce Cunningham, reflects on the 12 years he spent as companion and close friend to the choreographer, offering a rare insight into the final days of a master. In 2001, in a dressing room in Australia, Cunningham stared at his reflection while filming himself on his newly acquired camcorder, a device he went on to use prolifically. Interested in the fleeting nature of things, he uttered the words: ‘not a moment too soon’. 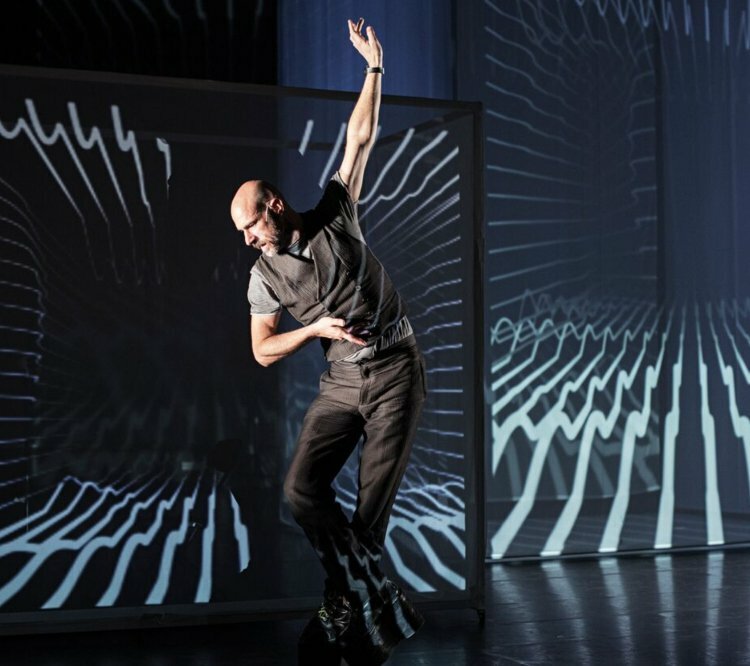 Taking this recording as a starting point, Carlson’s performance is a tapestry of video, text, music and movement layered with previously unseen footage of Cunningham. As Carlson weaves in and around projection panels hung onstage, he presents a visual and oral history of their adventures through recollections of precious moments spent together. A pilgrimage into memory, the dream-like solo shifts between monologues, readings and intimate clips of the iconic artist at work and at play. Tapping into key periods of Cunningham’s later life this is a touching farewell to a loved one.